At Softouch Dental Care in Oakton, Virginia, you are not just the next patient in line! You are our honored guest, and one of only two or three that day. This is not the type of dental office that our grandparents used to visit. You’ll notice that as soon as you arrive. Oakton dentist Dr. Michael Chung believes in maximum comfort, and we have invested in many amenities to ensure that you will feel well taken care of during your time with us. Softouch Dental Care's spa-like office offers many amenities to provide a comfortable and relaxing experience for patients. 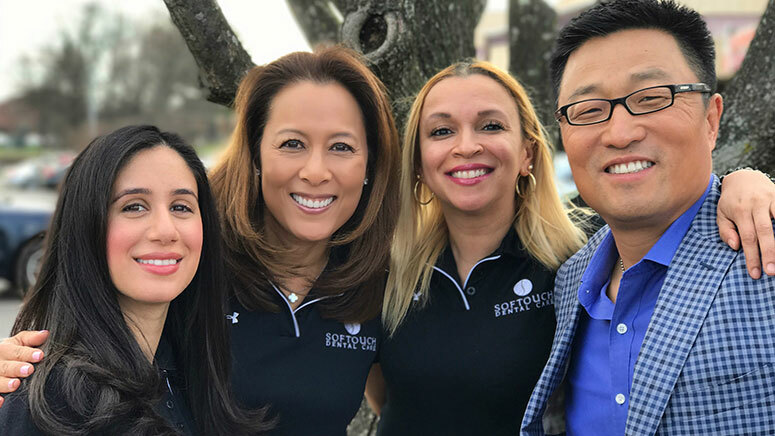 For more than 20 years, Dr. Michael Chung has been performing general and cosmetic dentistry in Oakton, Virginia. Unlike some other dentists, he does not believe in doing it piecemeal. Dr. Chung believes in taking a holistic approach to your dental health, and he combines cosmetic dental work with close attention to basic dental health. This is why we offer general dentistry and neuromuscular dentistry, as well as aesthetic treatments. Dr. Chung and all of us on his dental team stay up to date with new ideas, procedures, and techniques. If you would simply like a teeth whitening to restore the bright gleam your teeth to have, we can do that in a little over an hour, or we can give you a take-home, professional-strength whitening kit. Perhaps you need a range of dental procedures, amounting to a full mouth rejuvenation or a smile makeover? Dr. Chung will work with you to decide on which procedures will accomplish that best, their best sequence, and their time frame, so that you can fit it comfortably into your schedule. We offer a variety of financing options and work with Lending Club and CareCredit. When you come to visit us the first time, you can discuss finance with us and we will work to make your cosmetic or neuromuscular dental work fits well within your budget. You will be an honored guest in our facility, and the reason we see so few guests each day is to give us more time for each one. We hope to get to know you as a person rather than just as a dental patient or a file number. Our philosophy gives priority to quality of care, not to quantities of patients! To arrange for your dentistry consultation, please call 703-319-6990 or email Softouch Dental Care whenever you are ready. We serve Oakton, Vienna, McLean, Reston and areas of Northern Virginia.